There is one reason why I prefer available light photography and you can see it all over this image. It can be difficult, even with the widest apertures and fast autofocus cameras, all of which we constantly keep as a part of our wedding gear. The reward for being patient and watching for subjects to turn towards the light certainly pays off. This image has a feel to it that you cannot get with a flash. I enjoy capturing lighting the way it was arranged and not adding much additional light from a camera flash. There are certainly times where flashes and remote strobes are appropriate, but none of those images give me the satisfaction that available light can give. 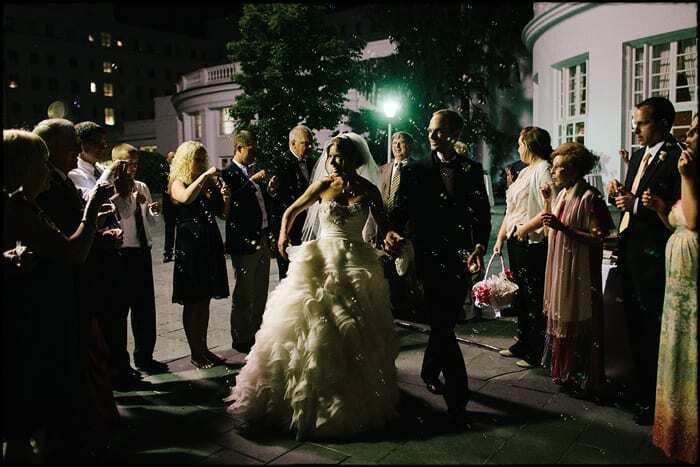 This is one of my favorites from Dawn and Hayes’ Greenbrier wedding.